People initially come to Ride Royal Blue for the trails, but it’s about much more than that for owner Sheila Westray and her crew. To them you’re not just another rider; you are a personal guest, and they’ve considered every detail for your visit right down to the food at the on-site restaurant. 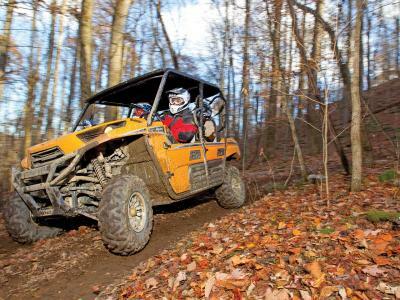 Ride Royal Blue ATV Resort offers 600 miles of trails in the beautiful Cumberland Mountains of Northeastern, Tennessee. Connected directly to the North Cumberland Wildlife Management Area, most of the trails wind through the woods, and all that we encountered were well marked, rated for difficulty, and heavily maintained. They are also bi-directional so you may encounter traffic coming from the other direction. 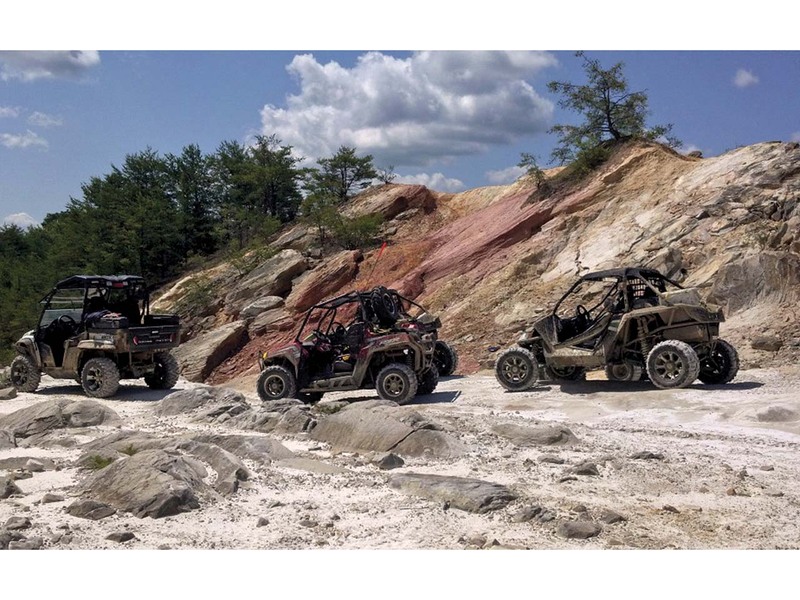 Most of the trails are wide enough to easily accommodate ATVs and Side x Sides and you can expect lots of elevation changes from 800 to almost 3500’. You’ll love the views from the top of the mountains that look out onto beautiful valleys below. It’s those same mountain views that Sheila Westray and her family fell in love with years ago on their family riding adventures long before they created Ride Royal Blue ATV Resort, and you’ll find the views every bit as captivating as they did. At the bottom of the mountains, the inaptly named Stinking Creek (don’t worry – it’s a clean mountain stream) winds through the valley and offers waterfalls, places to play in the water, and plenty of mud for those looking for dirty fun. When the day’s riding is done, Ride Royal Blue can help you clean up and provide a place to stay as well. 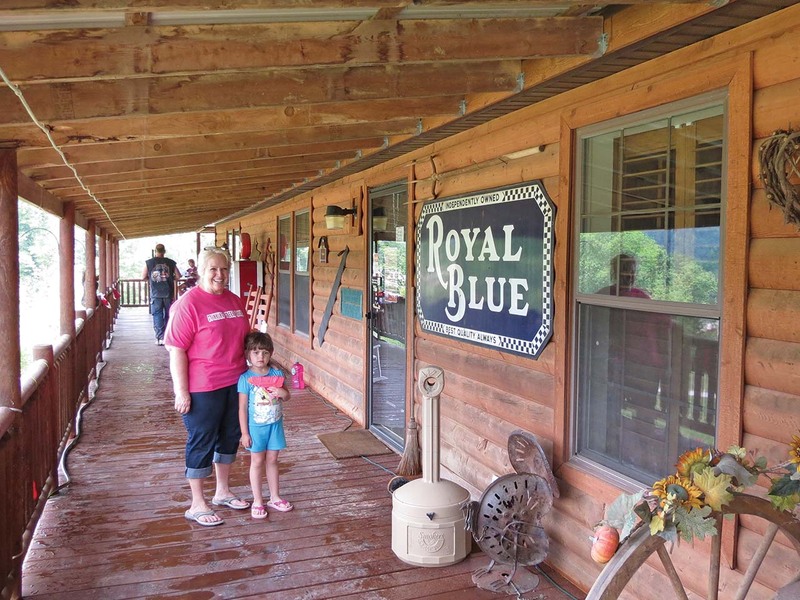 Ride Royal Blue ATV Resort offers 32 cabins you can rent, and they vary in size and features, from rustic to luxurious. There are also 31 RV sites, from water and electric only sites to full hookup/direct pull through sites, as well as primitive tent sites. Ride Royal Blue offers options for every budget and can accommodate up to 400 guests nightly. Clean, comfortable bath houses are located throughout the resort and are in close proximity to the rustic cabins and RV sites. The centerpiece of Ride Royal Blue ATV Resort is a 2500’ mountain inspired lodge. 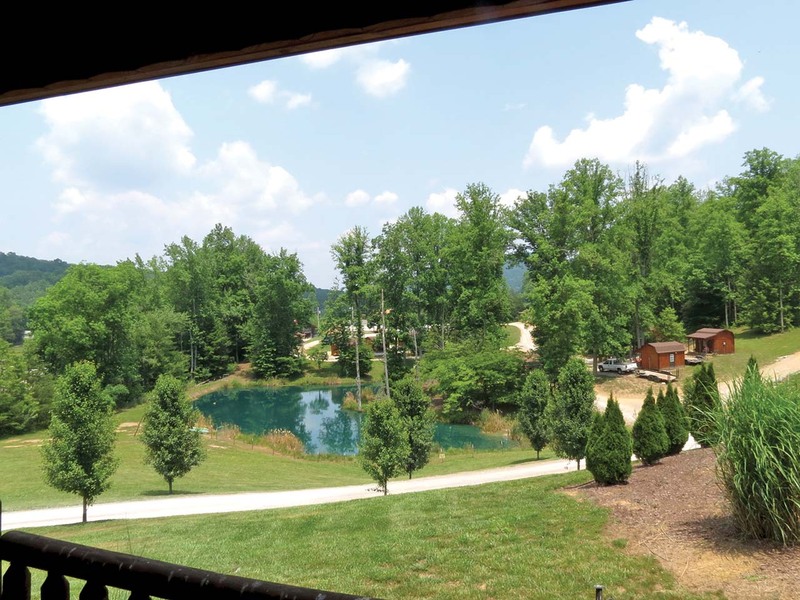 The lodge offers casual, comfortable family dining, a huge stone fireplace, a big screen TV, and plenty of space to relax with friends and other riders. You can even kick back in a rocking chair on the porch, but we love to pull up a camp chair beside our own fire at the cabin or camp site. Breakfast is a major event at Ride Royal Blue’s on-site restaurant, and they’ve even got one special they call “trail traction.” It’s Southern fare all the way, with a big helping of gravy-n-biscuits, grits, hash browns, bacon, sausage, scrambled eggs and other fixins’. There is something on the menu for every taste. 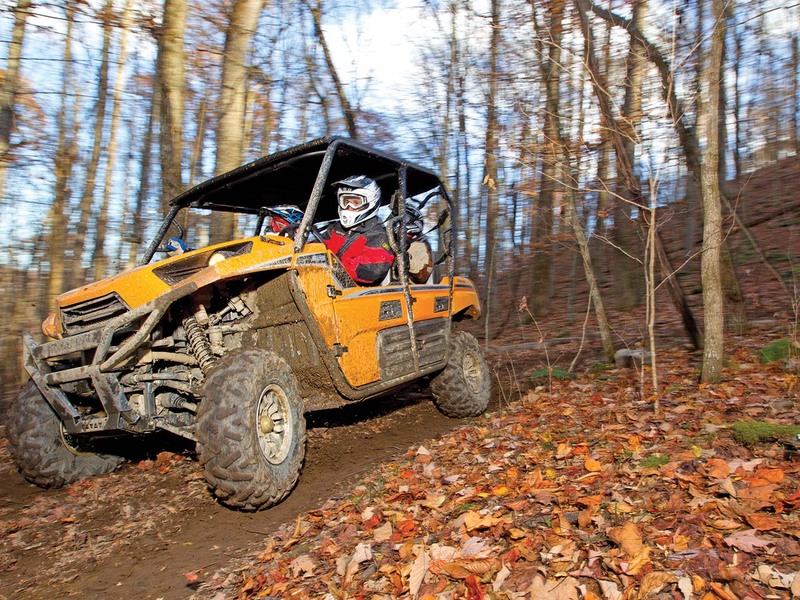 For other supplies, the onsite general store offers ATV accessories, groceries, ice, firewood, trail maps and riding permits. They also have a pro-shop with plenty of common parts and accessories for you and your machine. We’ve visited riding areas all over North America and few places offer as much as Ride Royal Blue ATV Resort. They’ve got warm, southern hospitality, great riding on trails that range from mild to wild, comfortable accommodations and camp sites, and just about everything you could need for your adventure. Best of all, that same love of riding the mountains and the great memories Sheila and her family experienced years ago has turned into a fantastic opportunity for your family to create memories of your own. As Sheila says, “Ya'll come on down here and see this beautiful Southern treasure for yourselves.” We guarantee you won’t be disappointed.